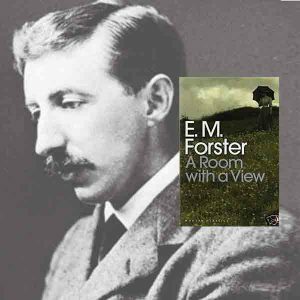 In this five-week Delve we will examine Forster’s first novel, Where Angels Fear to Tread, and his third novel, A Room With A View (judged one of the 100 best English-language novels of the 20th century by Modern Library). These two early works, brighter and sunnier than his later masterpieces, already contain the elements that define Forster’s unique greatness: a strong sense of place, rich interior and exterior spaces dense with allusion and symbols, and peopled with quirky characters whose motives are often opaque to both the characters themselves and occasionally to the reader. Forster is always interested in the subtle gradations of class and culture among Europeans in the late Victorian/Edwardian era when he composed most of his fiction, and both of these novels revolve around clashes between British reserve and the perceived laxity of 19th century Italian morals. If time permits, we will either view selections from the fine and faithful film adaptations of these two works or read one of Forster’s short stories set in Italy. Christopher Lord is the author of the Dickens Junction Mysteries, a past recipient of a Literary Arts Fellowship, and has been a frequent Delve Guide for works by Dickens, Hardy, Forster, and the “Golden Age” of Detective Fiction.